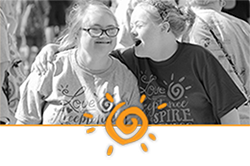 Description: Adults with Down syndrome are invited for a night of fun & friendship. $5 per person includes dinner. For more info, contact Rae at 440.944.8852 or kinnaird2@sbcglobal.net. Description: Fathers of children with Down syndrome getting together for great Mexican food. RSVP to Matt at gian624@hotmail.com. Description: This is the FIRST meeting. The Buddy Walk Committee helps our Development Coordinator, Maria plan, organize and execute the Northeast Ohio Buddy Walk. Our walk is scheduled for Saturday, August 24th. Last year, 4500+ people registered for the Buddy Walk to show their support for the Down syndrome community. You do not need to be able to attend all of the committee meetings to join the committee. Please RSVP to maria@usod.org, if you will be at the April meeting. 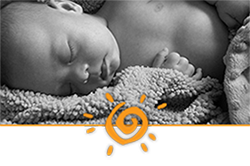 Description: 90 minute clinic for individuals with Down syndrome, age 5 to adult. Cost is $15. Register at Akron@BuddyUpTennis.com. 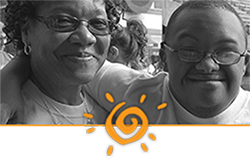 Description: 90 minute clinic for individuals with Down syndrome, age 5 to adult. Cost is $15. Description: USOD will pick up the cost for our buddies with Ds to bowl up to two games per week and pay for their shoe rental. All ages welcome. Siblings may bowl, but must pay for their own games and shoe rental. RSVP to barbw@usod.org. Description: RSVP to Laurie at 216.702.3820 or lauriek@usod.org. Description: Take a night off from the kids and meet up with USOD parents to share ideas over coffee. Text your RSVP to Kelly at 330.416.3776 or kelly@twiisted.com. Description: Adults with Down syndrome are invited to join in some Air Hockey fun! Description: RSVP to Laurie at lauriek@usod.org. This series will focus on topics such as friendships, social skills, safety awareness and more. Using features of the Circles Curriculum, teens will learn how to identify people in their everyday lives based on their social circles. This will help them learn how to navigate through the intertwining, constantly changing, and confusing part of being a teenager by teaching them acceptable ways to interact with others in their lives. The last class dates for this series is 4/27. Cost for the series is $60. Must be registered to attend. Description: FREE. Become more informed about limited guardianship, power of attorney, and supported decision-making. This session is for parents, caretakers, and professionals. Light refreshments will be served. RSVP to Laurie at lauriek@usod.org. Description: This is a support group for those who are caretakers of a loved one who has a dual diagnosis of Down syndrome & Alzheimer's disease. It is also appropriate for those interested in learning more about the early signs of dementia in individuals with Down syndrome. RSVP to Debbie at debbie@usod.org. This series will focus on topics such as friendships, social skills, safety awareness and more. Using features of the Circles Curriculum, teens will learn how to identify people in their everyday lives based on their social circles. This will help them learn how to navigate through the intertwining, constantly changing, and confusing part of being a teenager by teaching them acceptable ways to interact with others in their lives. This is the last session of this series.